I teach a course called Genocide and Crimes Against Humanity in the Toronto District School Board. This course focuses on the crime of genocide through a series of case studies. However, its heart lies in the identity work in the introductory unit, which sets the stage for the entire course, and can make or break it. Identity work is vital for two reasons; it allows students to explore their own identities and the various ways that they relate to and judge others, and it gives them a foundation for understanding how identity can be used to target a group of people. I think that understanding ones’ own identity is essential in breaking down the idea that a group of people can have a monolithic identity. The belief that certain groups have a single identity plays an important role in genocidal ideology. This work helps students better understand how powerful genocidal ideology can be. It also helps them to gain perspective on how they assign and judge the identities of others in their own lives. Understanding the concept of identity as it relates to themselves and relates them to others creates a meaningful connection between the universal and specific. These connections engage students in very difficult subject material in ways that are difficult to describe, but I will attempt to explain in the next few paragraphs and in this blog for the rest of the year! Establishing an environment in which this level of engagement exists is not easy. Identity work is risky. By engaging students in deep thinking about their personal identities, it is inevitable that confusion and conflict arise. However, with great risk comes great reward. As a result of this identity work I have had the privilege of facilitating some of the most meaningful conversations in my professional life about racism, homophobia, sexism, classism, and pretty much any other ‘ism’ you can think of. I guide these deeply personal conversations with the goal of having each student realize that just as they have pieces of their identity that are not accepted by others, the same is true for everyone else around them. The question then becomes, “If we do not wish to be condemned for our inherent or adherent identities, why do we condemn other people for theirs?” In my experience, this question and the discussions that emanate from it cause students to honestly reflect upon their ideas of acceptable norms and the way they think about ‘others’. 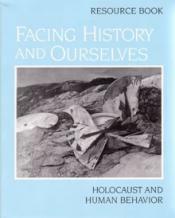 A couple of the resources that I use to help start these discussions about identity are “What Do We Do With a Variation” a poem by James Barry, and “The In Group” and “The Bear That Wasn’t” two readings from the Facing History: Holocaust and Human Behaviour resource book. The Barry poem is an excellent resource to help the students think about the ways that they behave towards people whom they view as different. “The In Group”, found on page 29, is the story of a young girl named Eve Shalen who reflects on her experiences as a bullied child and, as she states, “Often being accepted by others is more satisfying than being accepted by oneself. . . too often our actions are determined by the moment.” This resource is another excellent piece that can be used to help students explore and reflect upon their own behaviours. 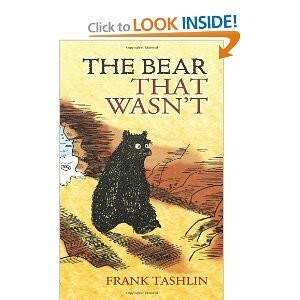 The final resource is “The Bear That Wasn’t” can be found on page 2. This story helps to initiate conversations about how the expectations of ‘others’ can shape our identity. This is an excellent way into the concept of conformity and obedience, which are such important ideas to have an understanding of when studying genocide. I hope that these thoughts and resources are of some use to you! Or, at the very least, were cause for pause and thought.